Mum never let me have a bike as a kid, the roads being too dangerous. I had one briefly when I was exploring Brighton’s streets for ‘The Encyclopaedia of Brighton’, but it was the wrong size and I never got on with it. Then, in 2007, my wife was asked by a work colleague if she knew anyone who might be interested in an unwanted mountain bike. I took up the offer because I wanted to do the ‘green’ (and convenient) thing – but as a beginner I was scared of taking it onto the busy roads. So I started practising around the cycle track in Preston Park. I got used to the balance, gears and brakes, then moved on to hand-signals and looking behind. Taking it steadily and methodically paid off. My first ride down to the seafront was a revelation; a trip along the old railway to Devil’s Dyke amazing! I bought a new bike as the original was really too small. It’s now my main transport and a source of recreation and enjoyment – it’s my pride and joy. Cycling is environmentally friendly, convenient, cheap, and helps keep me fit. But as a car driver also, I know I need to be seen clearly on my bike. I signal my intentions and I follow the Highway Code. I’m no longer afraid of being amongst traffic. 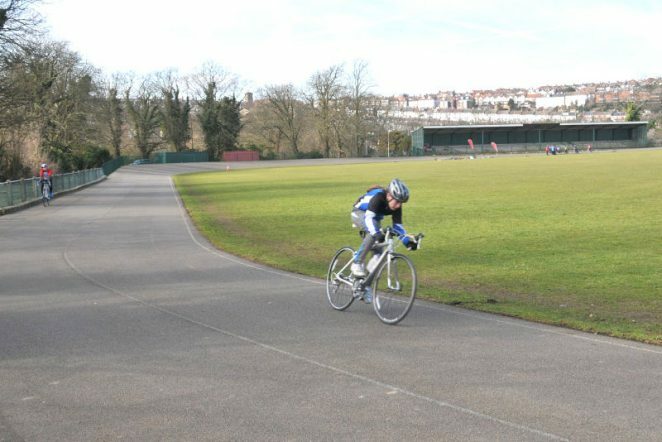 We’ve now been on cycling holidays and are looking forward to more – and all because of Preston Park’s cycle track. In my youth I became the St John’s Ambulance cadet, spent ages passing all the exams and one of my first jobs was at the track. On the very first day I was unfortunate enough to witness a very nasty multiple accident and had to help deal with it. It was then that I realised that the St Johns would be better off without me, so I left.